What’s up people? 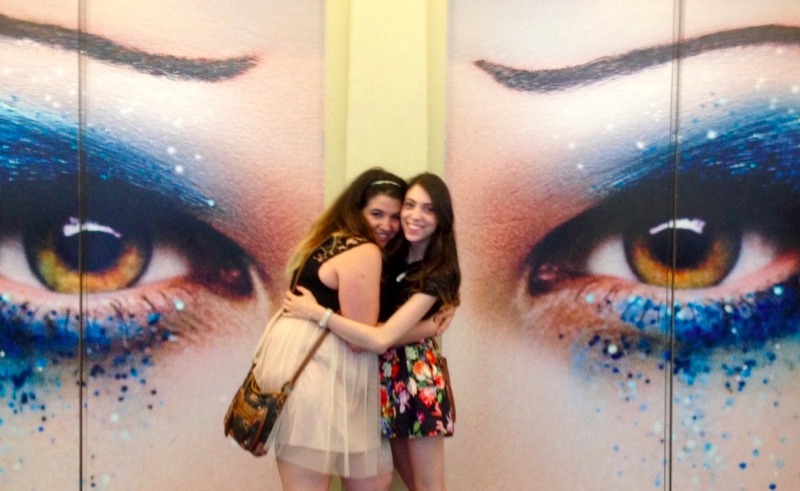 We’re the Belasco Buy Out Team! To celebrate the last show of Darren Criss owning the stage in Hedwig and the Angry Inch on Broadway we thought there was no better way than to metaphorically “sell out” his last performance with fans from all around the world and have every cent go directly to The Hetrick-Martin Institute for LGBT Youth! So, like who is this Hetrick-Martin Institute and why have we never heard about them before, JERRY? I’m glad you asked! Hetrick-Martin institute (HMI) is the nations oldest and largest non-profit leader in LGBTQ youth service programming with life-saving initiatives in New York, Newark and across the country. Just like our leading man, Darren, HMI believes that all young people, regardless of sexual orientation or identity deserve a safe environment in which to achieve their full potential. 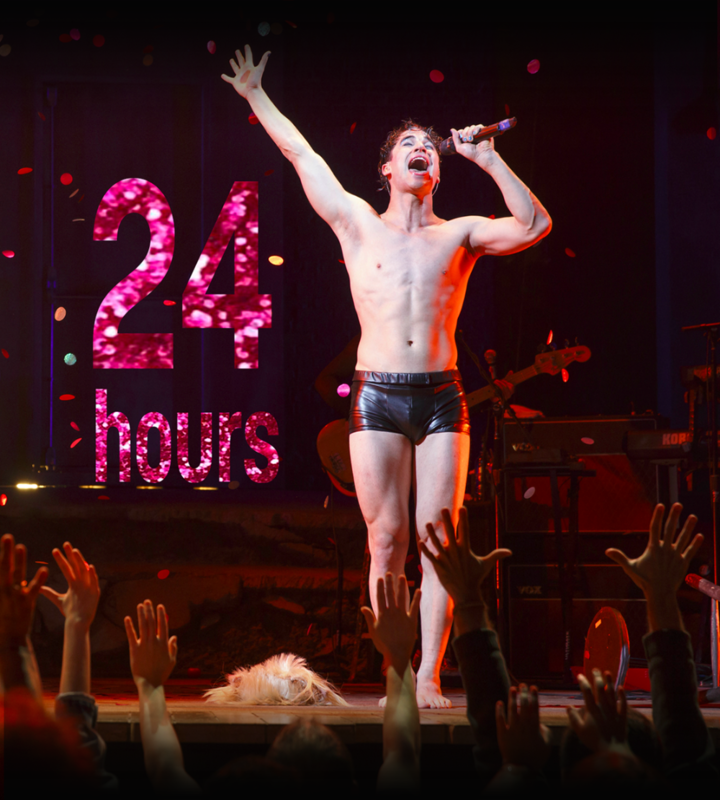 For every ticket purchased on Broadway, HEDWIG makes a donation, so we’re following their lead. Assuming that each seat in the 1016 capacity Belasco Theatre is just $1, we hope to sell it out many times over. 3. By donating as little as $1 you’re part of the Belasco Buy Out and will have your name on the list that’s given to Darren on the day of the final show. TA-DA! But wait, there’s less! For every $1 you donate you’re going to be entered to win some little prizes from Miss Hedwig herself, including signed Playbills and some other fun stuff along the way. So make sure you’re following us on our Tumblr and Twitter to stay updated! We’re running this fundraiser from Pride (June 28th), all the way up until 11:59PM on July 18th. We will be handing over the final amount raised, and the list of everyone who pledged a “seat” before Darren’s last show on July 19th. From East Berlin to Junction City and everywhere in between, we’re hoping you can join us to make a difference. Thanks you for all of your help! Keep on shinin’ like the brightest stars! - The Belasco Buy Out Team! Disclaimer: This is for a donation to charity only. Tickets to the show are sold at the Belasco Theatre Box Office and Telecharge.com - if you want tickets to the show, please visit those locations. We're not affiliated with Hedwig and the Angry Inch, Darren Criss, Telecharge.com or The Shubert Organization (we cannot thank Bob here). We, on behalf of Darren's Belasco Buy Out thank you for your donation to HMI. With the list of everyone who donated sent to Darren and the funds raised safely in the hands of HMI, all good things must come to an end, but we wanted to say a little good bye and a few thank you’s. Amanda and I started Darren’s Belasco Buy Out with the idea that we would raise a little bit of money for such a worthy cause. We had no idea how big it would become and just how many lives would be changed simply because of one guy, in one role on Broadway, with one hell of a fandom. There hasn’t been one moment this entire time that we haven’t been blown away by the generosity of Darren’s fandom and we are so proud when everyone tells us they have never seen fans do something like this before. But it wouldn’t have been possible without so many people, so here we go. Firstly, to Windsor and Mary, the geniuses behind @atthebelasco for all your hilarious tweets, shares and being such a power-house behind the buy out! To Chandler, Abby and the entire HMI team! Thank you for going with our weird idea, all the phone calls, the tour of HMI and letting us see just how we’re making a difference. To Ricky and Eleni, for the signed Playbills, keeping it a secret from Darren all this time, and of course arranging for us get backstage with Darren to show him what his amazing fans have done. and most importantly to YOU! THE FANS! It was your generosity, kind words, shares, reblogs, tweets, messages that made 12.5K happen and we wouldn’t be here without you! Thank you so much and we’ll catch you on the midnight radio! The final countdown has begun! We’ve SEXtupled our goal and with exactly 24 hours left we want to squeeze you all into our tight little agenda! Our donation page will stay live for a couple more days but you only have until curtain of Darren’s second-last show (Saturday, 8pm) to get your name on the frame that will be handed to Darren. You are all blowing us away... in the best way of course! 2 weeks down and 1 to go! First of all, a gigantic wonderful THANK YOU to all 225 of you who have made the past two weeks of Darren’s Belasco Buy Out so remarkable! When we took our little field trip to HMI we were sitting on $2,500 and were told that in less than four days a fandom had raised enough money to offer services to a HMI youth for an entire year (in addition to all the other services they can provide with that amount of money)…so we thought, let’s get to $5,000 and change two lives. So there it is, $5000 by Sunday? This is the very last week of the insanity that started when Darren announced he was Hedwig late-February and we couldn’t think of a better way to finish! Thanks again for all your support and we will see you at closing in ONE WEEK! The Belasco Buy Out Team! Earlier today we hit double our goal! We're blown away that it happened in less than 48 hours - you're all such incredible humans! For all your Retweets, posts to Facebook, reblogs and everything else - thank you! A huge shout-out to Carla Salveta for her massive donation - we wish you could be here! Will Darren see our comments and the amount that each person donated? Will all the names be listed on one card or how will it be presented to him? Thank you guys so much for doing this. Such a great idea. I saw "Hedwig" 3 times and did SD 5 times. Darren blew me away. He disappeared into the role. He was just beyond great as Hedwig. We were fortunate to be able to visit with him backstage. He is so unassuming and lovely. My husband and I had a son who was gay & he died under tragic circumstances. We support all of the work Darren does for the LGBTQ community. We are so happy to be able to honor Darren for all the love he puts into everything he does and to give to a special organization like Hetrick-Martin Institute. To give to an organization that helps LGBTQ young people is something very important to us. It is our privilege to help this cause. We also love Darren very much and this a a great way to show it. Again, thank you for all your work on this project. I wish I could donate but I literally have no money at all. But all my support to this. Darren and Hedwig are incredible and it makes me proud to be a fan! I'm so proud of everything Darren does. And once again he nailed it at Hedwig. Proud of being part of his fans, and proud to be participating in this awesome cause. Keep the good work! Determined to get this to $12,500 to cover costs for 5 LGBT kids. Congratulations, Darren, on a fantastic Hedwig run. Anyone else would be taking a long holiday now, not starting filming a movie. I couldn't have picked a better reason to travel across the Atlantic. I was so incredibly blown away by your talent, as per usual, so thank you for sharing that with us.